Cheryl Kocher has always been passionate about helping animals. She has ten years of experience training dogs and teaching families how to help their pet succeed. She is an active volunteer for CART – a Cincinnati based Tri-state agency that helps animals in disaster situations, and she has worked at the Cincinnati Zoo & Botanical Gardens, helping visitors, staff, and of course, a variety of animals. Cheryl graduated from the University of Cincinnati with a bachelor’s degree in Human Resources, and she recently attained her PHR designation. Her philosophy on creating successful relationships with animals is first to establish respect, then to build a mutual bond of trust with them. She earned her dog training certification through John Van Olden at Canine Trade Group based in Dover, Delaware. 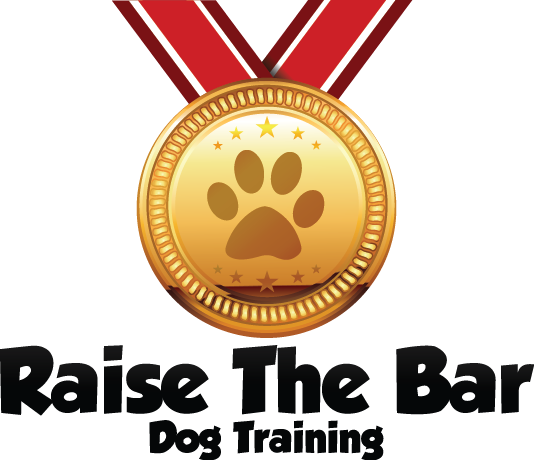 The dog training program our Cincinnati dog trainer, Cheryl uses has been proven to be successful for over two decades. Cheryl specializes in working with the hard to fix cases, she regularly works with dogs suffering from severe aggression and anxiety. Cheryl is a licensed training provider through the American Red Cross to teach dog and cat first aid classes. She is also a certified AKC CGC Evaluator and certified S.T.A.R. Puppy Instructor. She is also the City of Madeira’s Dog Control Specialist! Cheryl has a dog of her own named Prince. He is a five-year-old German Shepherd who loves showing off his tricks to children and making them smile. Prince loves to interact with his extended family of three cats and a ferret! 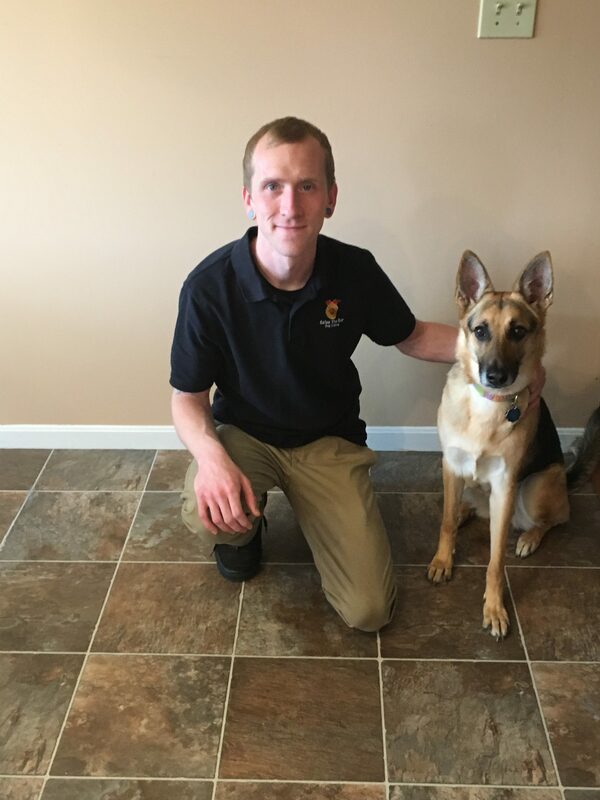 Mark Jones was born and raised in Northern Kentucky, and has recently gained his certification through Canine Trade Group, which is based in Dover, Delaware. Mark has been raised alongside many four-legged friends, and has a strong passion for the welfare of animals of all shapes and sizes. Being raised in a family of dog lovers, Mark has showed interest, from a young age, in dogs and their ability to learn. Being an avid learner, he grew a great desire to learn as much as possible from many different training methods. Mark has experienced first-hand the training and the success that follows with his own family. He stumbled across Cheryl Kocher after he and his wife adopted a rambunctious German Shepherd rescue. At one year old, she had developed quite a few issues from her previous unstable living situations. However, through the program, Bella has become a very different dog. With consistency and dedication of all involved, you too can experience the same positive change in you, and your dogs life! 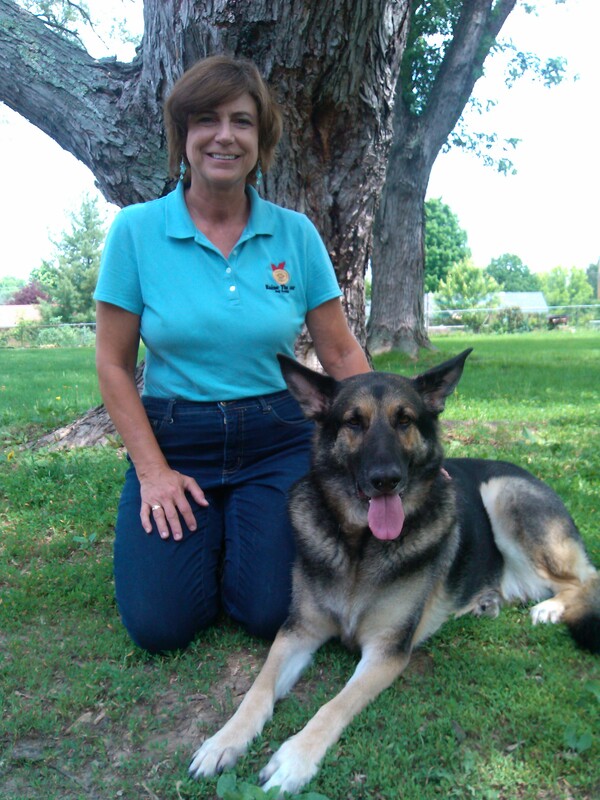 For the last year, he has been working with Cheryl learning the ins and outs of canine rehabilitation using Canine Trade Groups training program, which has been successful for over two decades. Passing on her extensive knowledge and experience through working with all types of dogs in all types of circumstances. In such a short amount of time, he has gained experience from numerous outlets, and has a new understanding of dog training. Although he is a rookie, he has had exposure to many different situations that have tested his knowledge, and gained experience that will last a lifetime. Not to mention being used as human bait in some of Cheryl’s lessons! Mark is confident in his ability to help you and your family, and is looking to build a strong and lasting relationship with our community of people and animals, alike.